How much can your company benefit from a timely rebranding and revitalization? When considering this question, one must keep in mind that rebranding does not necessarily address the wants and needs of the company directly, but rather speaks to the wants and needs of that company’s current and prospective customers. Therefore, the important factors to consider when assessing the value of a rebrand include equity measurement, market, brand awareness, relevance and vitality, consumer personality. If your company can improve relationships to its customer base in any or all of these key areas, you may want to think seriously about rebranding and revitalization. Your brand is the public face of your business. As the economic climate changes, it must change along with it. A well planned and executed rebrand will enable your company to reflect current market dynamics and thereby gain competitive advantage, accelerate pipeline performance and become a leading voice of the industry. Sidestep the competition and increase your market share through an updated image. By revisiting your brand messaging, you can counter a loss in consumer confidence and/or decreased profitability. In markets where complex and confusing mixes of product portfolios frequently undermine brand impact via advertising clutter and media proliferation, a rebrand can combat incongruence and audience fragmentation to regain customer impact and promote growth. As the company continues to grow, subsequent rebranding will ensure that customers hungry for change will keep coming back to see “what’s new.” Rebranding can serve to reduce the cost of operation and to cater more efficiently to current customer demands. In this sense, the rebrand becomes a public expression of the company’s evolution and a constant check to potential outgrowth. When a small business prospers and expands, they and/or their products frequently require a rebrand or revitalization to reflect the larger, more sophisticated business it has become. Any emergent company not employing this essential business strategy will inevitably be dwarfed by its competition. The modest brand offerings typical of the small company and its contingent budget restrictions will ultimately prove inadequate as that company grows and evolves. However, budding economic prosperity and subsequent operational expansion are not the only facets of business growth and evolution that necessitate revitalization and rebranding. Just as a company’s brand must reflect changes in size and market position, it must also reflect changes in technological innovation. Constantly evolving at an exponential rate, technology and business prosperity are often inseparable from one another. Any brand associated with technology or technological advancement, must keep pace with the industry of which it is a part. Therefore, tech-dependent businesses, such as those associated with the internet or with computer hardware or software, might need to consider more frequent revitalization and rebranding. If a company’s production line is subject to a constant, rapid rate of change, the wise owner and/or manager will subsequently revitalize his or her brand at a commensurate rate. Again, your brand is the public face of your business. When it fails to reflect the level of innovation your business has achieved, your customers will quite naturally assume that you have fallen behind the times. Competitors who consistently rebrand their products and services—even those competitors who have yet to achieve your company’s level of technological acumen—will likely outperform you in terms of reputation and/or economic profitability. Whatever your reason for rebranding—be it economic and operational expansion, technological innovation, or any other type of growth and/or change—your company’s brand must remain consistent with the latest and greatest your business has to offer. Whether reflecting advancements in your product and/or service lines or the evolving nature of your business in and of itself, the process of rebranding is essential to communicate your level of quality to your audience of consumers. Furthermore, although taking the step to rebrand your business will, first and foremost, revitalize your consumer base, the change can also have quite a rejuvenating effect upon the internal culture of your company. As your brand evolves to reflect new innovations in a constantly changing marketplace, your employees will inevitably be swept up in the momentum. Launching a rebrand will call for new levels of worker support, knowledge and feedback, as well as affording them the opportunity to join in the creation of a new, positive business culture. In this way, the process of rebranding not only brings the public face of your company in step with its internal machinations, but also, in turn, actively engages your management team and workforce to contribute to the new business culture that your new brand represents. The business rebrand is about a great deal more than making your business look good. It’s about making your bottom line look good, too. 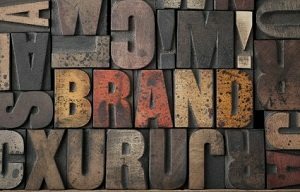 So what is it that makes a company rebrand such a valuable proposition for your business? Please share your thoughts and comments.